Do you ever go to a single appointment for a health issue with your doctor and then not go back to find out his/her opinion? Do you consider that you know better how your treatment might be progressing than the specialist you have just paid to see? It seems with Homeopathy this can happen and it is easy to understand why. I want to share a patient story from my clinic last week and explain why this happens, so you do not make the same mistake. There are two main types of patients in the Homeopathic practice spectrum of experience. At one end of the spectrum we have patients who are using Homeopathy for the very first time. They know someone who has had a good result using Homeopathy so they are prepared to come and give it a go so they have some faith that it might work for them but they do not understand it’s philosophy. Then at the other extreme end of this patient spectrum are the regular Homeopathic users. They have had experience with homeopathy and they always come back when they need it because they know it works and have a good understanding of how it works. Although Homeopaths can be very good diagnosticians, we are not really interested in putting patients into boxes. The reason for this is because we are interested in the patient’s individualistic symptomology. We prescribe for the individual, not a disease. 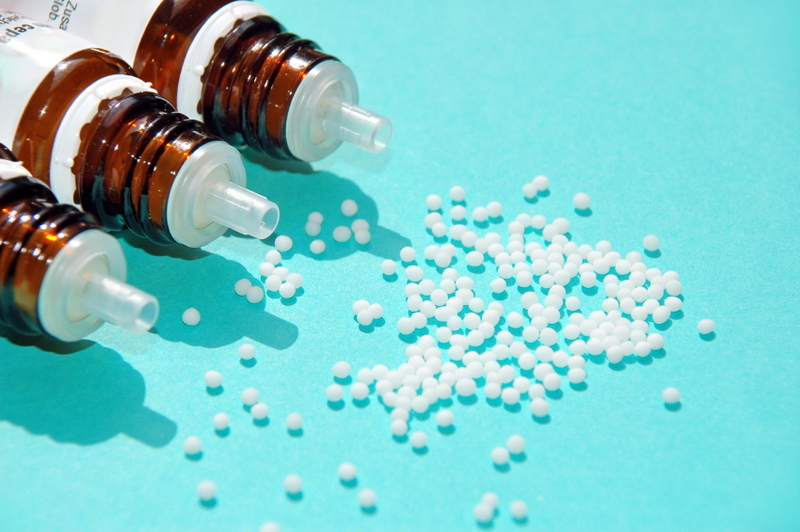 Homeopathic medicines do not create side effects, so when we prescribe it is the healing process of the individual that comes into play and when seeing a patient for the first time this can be hard to accurately predict. Last week for example I had an email from a patient for whom I had recently prescribed. The email suggested that because the patient had since our appointment determined through some testing that she was deficient in certain nutrients that she should “get this sorted” first. The subtext was that in the few days since the prescription, the most debilitating symptom (that she had had for over 3 years and tried countless health modalities – all unsuccessfully) and therefore the symptom of which the patient was most aware, had not changed. Luckily for me this patient was open to discussion and duly returned 10 more days later. The vital importance of this delay will become apparent so read on….. It seems that as Homeopathy is little understood in the general population it might help to use this case example to explain how Homeopathy heals and what it might look like for you as a patient. The following are 7 pointers that will help you to understand how Homeopathic healing can work and what you can expect. Homeopathy can effect deep and permanent healing – It does not palliate unless poorly prescribed and to effect this deep healing takes time. Sometimes the process of healing might take a path that does not fit with your preconceptions about what it means to get better before you reach your desired outcome. Homeopathic Medicines Do Not Heal You – They act as catalysts or stimuli to enable your body to re-balance and heal itself. This takes time and initial shifts from a deep acting Homeopathic medicine can be subtle at first. Emotional and Mental Symptoms are Just as Important as Physical – When there is a long standing physical complaint or chronic condition the emotional/mental symptoms are always part of the symptomology that needs to be treated. So although you may be desperate for a response to your main physical complaint you may experience subtle emotional/mental shifts first. This is a very god sign that if you hang on in there your physical complaint is highly likely to ameliorate. Homeopaths are Highly Skilled Case Takers. – Homeopaths spend 60-90 minutes at your first consultation because they are trying to really understand you as an individual and how your ill-health impacts on your life and from whence it may have come. The Second Homeopathic Appointment is Crucial – This is the opportunity for the Homeopath who has spent due diligence on your first consultation and prescribing for you to re-evaluate any objective assumptions that may have been made about your case and more importantly to see and evaluate how your healing has progressed. It sometimes happens that a patient returns with a misconception conception that no healing has occurred as their main symptom has not improved. Once in the consultation however and under the detailed questioning of the Homeopath, it becomes clear that there has been amelioration in many other areas and symptoms and that overall there is a significant improvement in their over all well being. Thus they go away smiling and encouraged. Time Needs to Pass Between Appointments – It would be much better for the pockets of Homeopaths to have patients return after a week for follow up appointments. Although this is sometimes appropriate more often than not usually 2-4 weeks are left between appointments. This time is crucial as the body needs time to respond to generate significant healing in chronic cases and if the Homeopath repeats a medicine too soon it can stop the healing process in its tracks. Homeopaths Treat you Gently – If a Homeopathic medicine is prescribed in a potency that is too high for the patient, there is the potential for a strong aggravation of symptoms. This is unpleasant for the patient and is not good news for business either! Homeopaths therefore start gently when they have a new patient and it is after the response to the medicine has been gauged at the second appointment, that the Homeopath can then tell exactly what potency will be exactly right for maximum speed of healing without further distress. In summary, Homeopaths work gently and deeply to catalyze your body to heal. It does not do this ‘to you’ and as such the healing is led by your system. This takes time so patience is very important. If you are confused, or unsure of your progress, talk to your Homeopath and make sure you attend your second appointment. My patient did attend their important second appointment 10 days after she was wondering if she should return. In that intervening time she experienced some significant and encouraging shifts in her case and symptoms and was highly encouraged. From my perspective she has made a great start and I am very confident that her case will continue to progress and she will be totally symptom free in due course. Dear Catherine, there are many mental illnesses and each manifests in an individual way. I treat anxiety and depression often and successfully. Other Homeopaths also have success treating all kinds of mental illnesses. I would visit your local professional homeopath and see how they can help you.